If you KNOW you’ve always wanted to be a diver, then this may be the program for you – buy your diving equipment from us now and we’ll teach you to dive for free. Active SCUBA divers own their own gear. 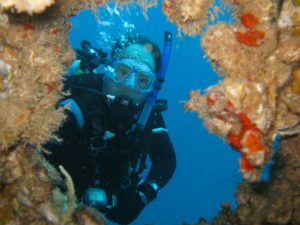 A good quality, comprehensive SCUBA course is not cheap. Learning to dive in your own SCUBA equipment is the best way to assure comfort and competence, and to assure you WILL continue diving. Learning to dive and not diving afterwards is a bad investment of time and money. So how do you protect and maximize your investment of time and money in your SCUBA lessons? We call this the Gypsy Divers Total Dive System Training Program. You must purchase your equipment prior to your last pool session. No exceptions. All standard warranties apply, and your purchase is fully returnable/exchangeable/refundable for up to 60 days from the date of purchase. 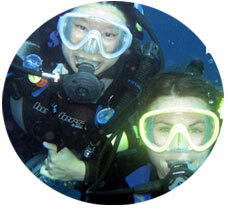 You will enjoy a lifetime of sport diving fun, excitement, and adventure. That’s it. Talk to us if you’d like to look at the right diving system for you and your new diving lifestyle ahead.